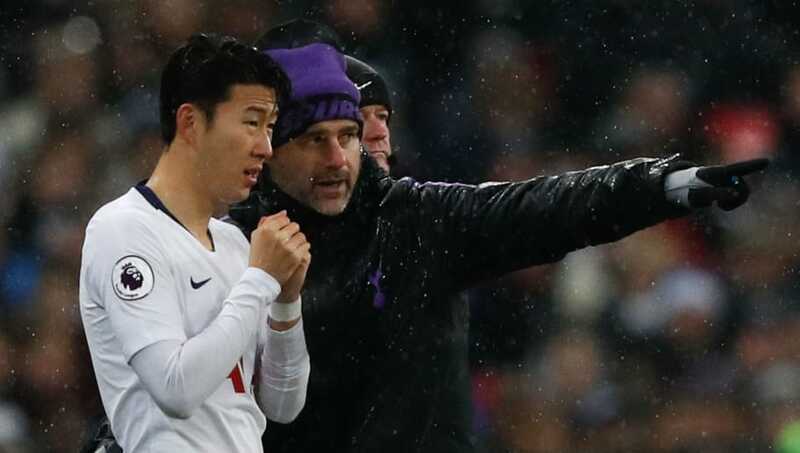 Mauricio Pochettino has drawn comparisons between Son Heung-Min and Lionel Messi following the South Korean's winning goal for Tottenham against Newcastle on Saturday. Son, having only recently returned from international duty at the Asia Cup, has slotted back into the Tottenham starting XI seamlessly and has bagged two goals in his last two games, with his strike against Newcastle proving to be the match winner as Spurs earned a hard-fought 1-0 victory. Speaking after the game, Pochettino was full of praise for ​Son, saying, as per Goal: "He works so hard, always pushing, never gives up. He tries, tries, tries. He's like this in his effort with and without the ball, he's very regular and consistent and that is most important. "Sonny is like when you have a battery, you work, work, work and then the battery is gone. He is like this, he gives you everything and when he’s exhausted he says: 'I need to change' or [that he] needs to rest. He's like this. The ​Tottenham boss then went on to make the bold claim that Son's movement is not too dissimilar to ​Barcelona's iconic talisman, ​Messi. "The most important thing is how you run and how you affect the game and the capacity and quality. It's not about distance. It's like if you say Messi ran a lot of distance. "No, but in the distance he applied the pace, or how powerful he is in the moment which made the difference. Sonny is similar, the quality is top because he has a lot of quality in his movement."